One. Dennis Lindsey, asked about the plethora of injured knees on the Jazz in the last few seasons: The catastrophic injury with Dante [Exum], as you know, was with the national team and not on our watch. I think Mark Cuban frankly’s right, in the overall scheme of things, that we’re putting our best players at risk, you know, without a lot of benefit. But you do need to acknowledge there’s some national pride, so I would imagine Dante and Joe Ingles, going forward they’re gonna wanna play for the Australian national team. So, and again, we want to have an international flavor, just because the talent pool, especially for us, demands it. It’s hard to overstate what he means to our team. He’s just a, he’s a unique player, and he’s so competitive. 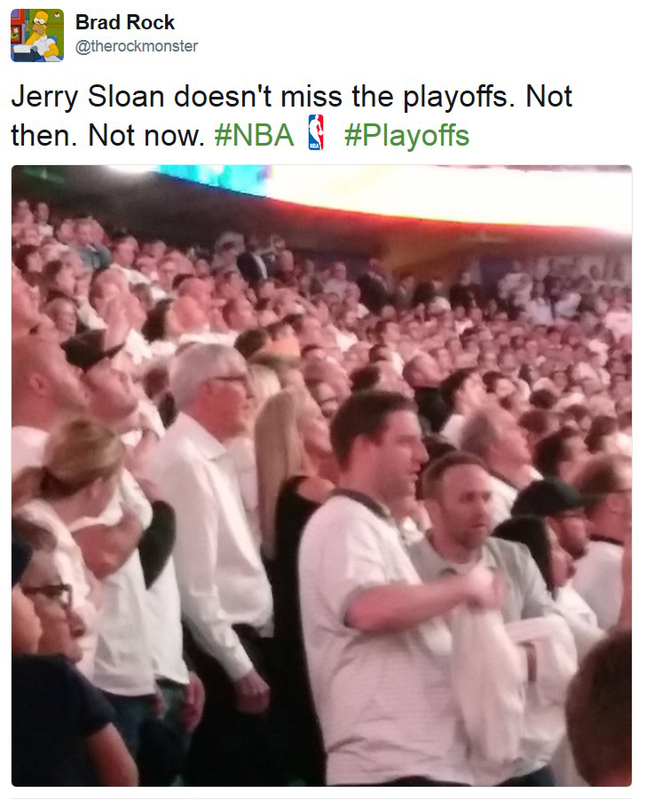 And it was also neat to see him get behind [Derrick] Fav[ors] at the end of the game. You know, Fav’s, you know, Fav’s, you know, battled through some injuries this year, so that was, for me, that was a moment in the game that I really appreciated. Dennis Lindsey on Rudy Gobert: You know every fiber in his body wants to play. I think it was two years ago when we moved him in the starting lineup [after trading Enes Kanter], and I think we were out of [playoff] contention and we were talking about, you know, just resting a few guys, and I think Rudy had a few bumps and bruises. And he said, “No, coach, it’s important to me personally that I play all 82 games.” So, that mindset on how he’s approached things, that coupled with his unique tools, is the reason why he is the player h–that he is today. Four. 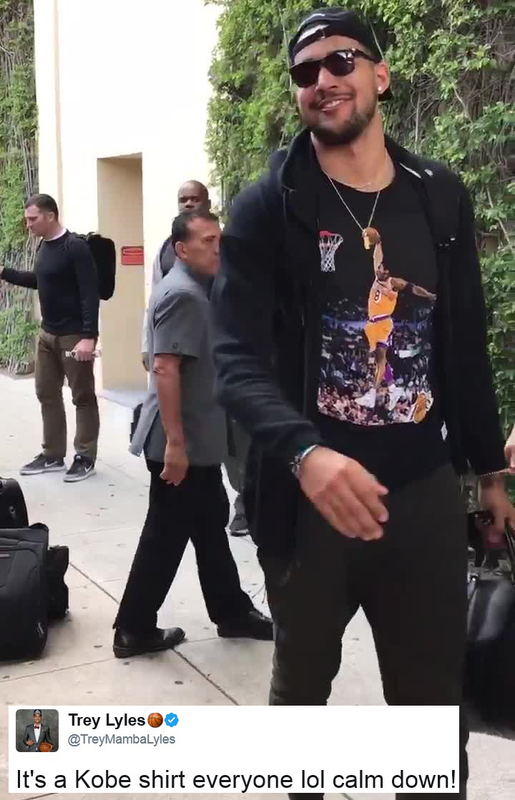 No, that’s not some random Lakers fanboy walking around L.A. That’s a Utah Jazz player. And no, his explanation does not make it better lol. Five. Poor Rudy Gobert, subjected to continued shaming with these questions while being interviewed on 1280 over month-old comments when he didn’t do anything wrong: What did you learn from that day, whether it was from your head coach or Dennis Lindsey? What did your teammates say to you? What did you learn from that day when you said that to the media? Rudy’s response: What did I learn? I mean, not much. You know, I knew, I know it’s always better to keep things in the locker room, but you know, I feel like that was a, probably a good time to say it. And I don’t think any of my teammates took it, you know, personal or took it as disrespect. You know, it was all about getting the team better, and I think if you look back at it now, I don’t really regret it because we, when, after that what happened, I think we won three games in a row. You know, so maybe it wasn’t s–because of that, but I don’t think it was disrespectful in any means, you know, to my teammates. I think it was just a way to express myself, and you know, that’s it. Six. 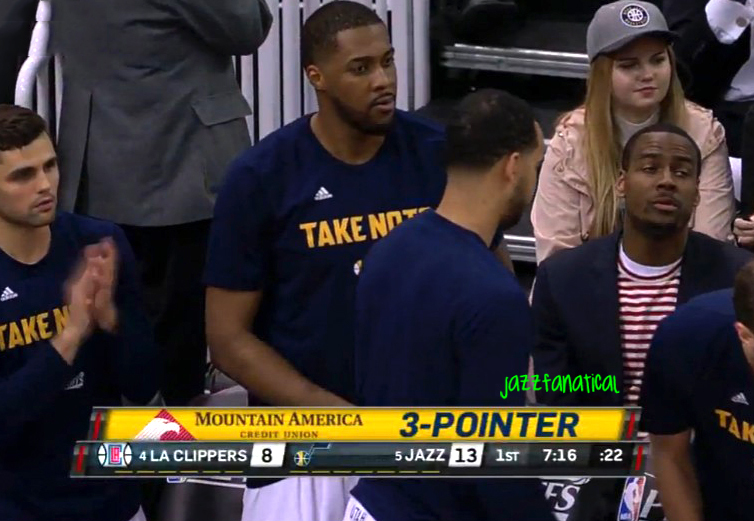 So Drake is now a Jazz fan, right? Ah, man. It was Boston, I got caught in between — it was like a three-on-one, and I was the one guy back on defense. And I remember him just coming down the lane, and I was telling myself to take a charge. But you know, he always comes in with his knees high, and I got out the way. And coach took me out — I was a rookie. I’ll never forget him cussing me out and everything. And I didn’t get back in the game either, but I wasn’t taking that charge. Nine. 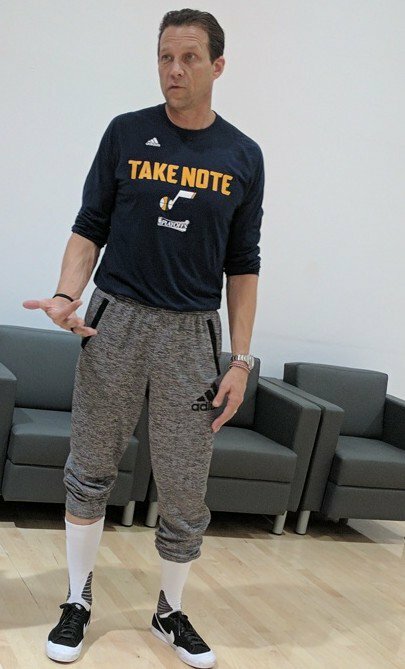 Gordon Hayward, asked what’s the most important thing Quin Snyder has brought to the franchise: Well, that outfit right now that he’s got going on, with those socks. Quin Snyder’s response: My pants are too short. It’s really simple…I’m glad [Gordon] is focused on the right things. 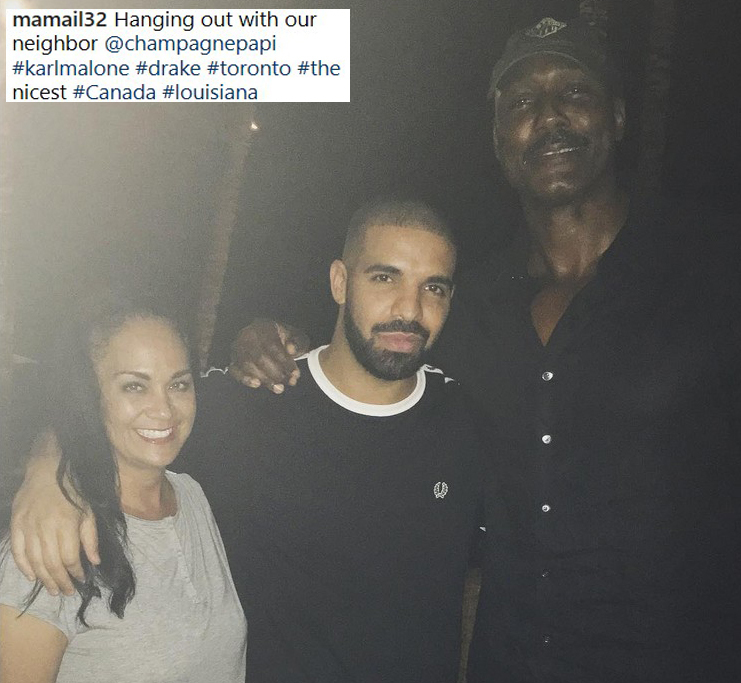 I think the NBA, a lot of it is building relationships. Because once you get to this level, there’s so much knowledge and guys are so good, you, sometimes you have to build trust. You have to build relationships, and, you know, to take the next step. And he started that first, you know, year one…Our relationship has really gotten pretty strong, and I think you need to have a good relationship, you know, to coach a player, like I said, to take the next step. ** Joe Ingles on the playoffs returning to Utah for Game 3: Obviously, getting too excited or too anxious for it can obviously hurt as well. ** Quin Snyder on Gordon Hayward: I took him out at one point just to try to give him a blow, and then, I wasn’t, after the first quarter, I didn’t see it coming, you know? ** Snyder’s version of “it’s not the size of the boat”: Personally, I don’t think it’s the level of your socks. ** Dennis Lindsey on Rudy Gobert et al. : With how the team’s built and especially Rudy’s unique ability, that we want to get our grind on. We want to get deep.